Having trouble finding and keeping the right employees? You’re not alone. That’s one of the messages from the inaugural edition of the MindReader Report. 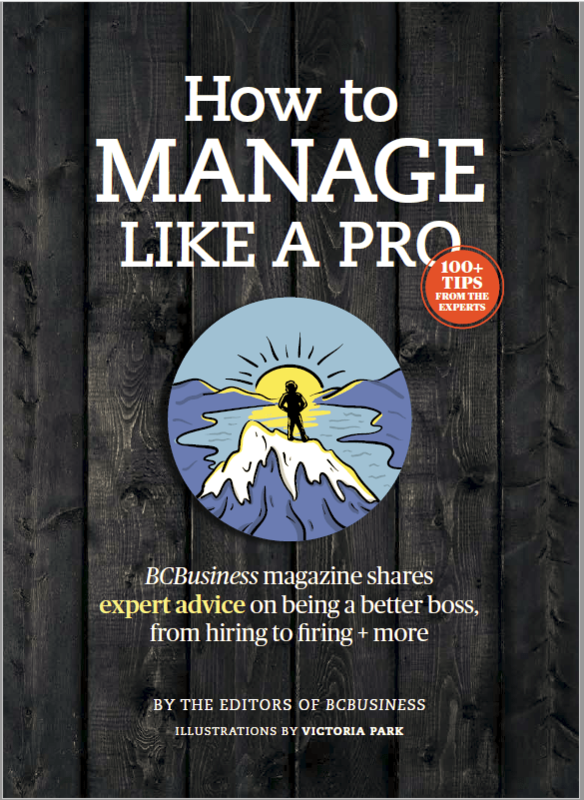 Published by BCBusiness partner the BC Chamber of Commerce, this study looks at labour market issues throughout the province. The report, powered by intelligence-gathering tool MindReader, is the first of four from a new partnership between the BC Chamber and the Government of British Columbia, via the Ministry of Advanced Education, Skills and Training. BC Chamber staff and executive members, along with provincial government officials, guide the effort and its research. 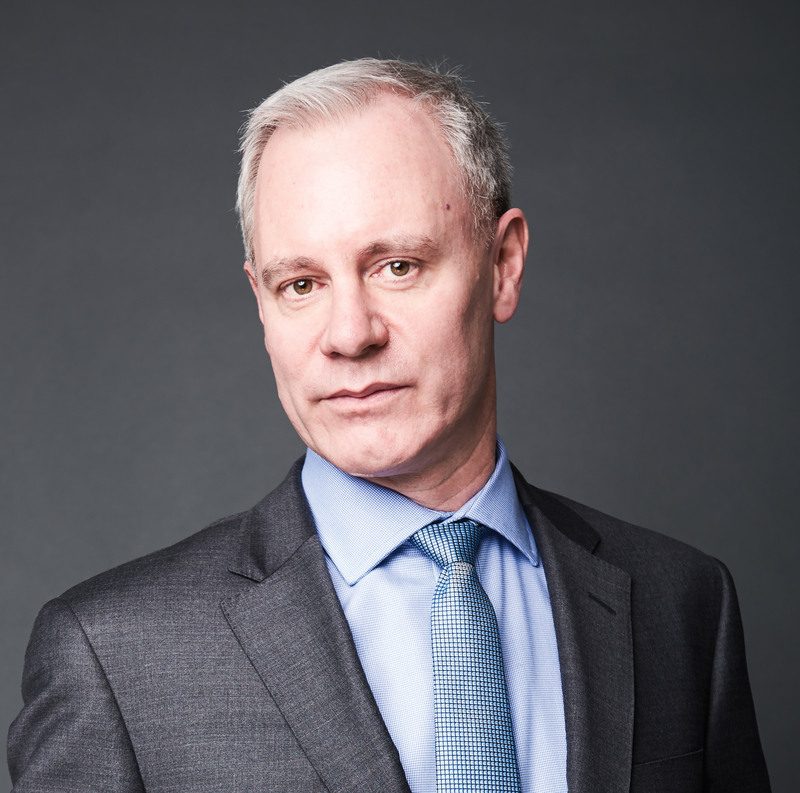 Supporting this project is Vancouver-based customer intelligence software agency Vision Critical, which launched MindReader with the BC Chamber and the provincial government. Also weighing in is an eight-member steering committee that includes Val Litwin, president and CEO of the BC Chamber; Bryan Cox, president and CEO of the Mining Association of BC; Arlene Keis, CEO of provincial agency go2 Tourism HR Society (go2HR); and Peter Larose, principal of Larose Research & Strategy, which facilitated research, analysis and report development. The MindReader reports provide real-time analysis of strategic issues affecting B.C.’s economic competitiveness, current practices and experiences of businesses, and potential solutions related to these key economic drivers, the authors write. The next MindReader Report, which appears this fall, will focus on emerging industries in B.C. The authors note that the views and opinions expressed in the report are theirs and not the position of the provincial government. Information was gathered through MindReader in a survey held from May 9 to 29, 2018, that yielded 285 completed and 375 partly completed surveys. That sample yielded a confidence level ranging from plus or minus 5 percent, 19 times out of 20, for initial questions, and plus or minus 5.9 percent, 19 times out of 20, for later questions with closer to 285 participants, the authors state. “This strong engagement and high response level means the results should be considered representative of the overall B.C. business community,” they write. As of April, B.C. was enjoying strong economic growth, with provincewide unemployment sitting at 5 percent, down from 5.5 a year earlier, the authors explain. Given near-full employment, there should be a combination of generalized labour shortages—for lower-skilled and lower-income occupations—and skills shortages that range from moderate to severe. 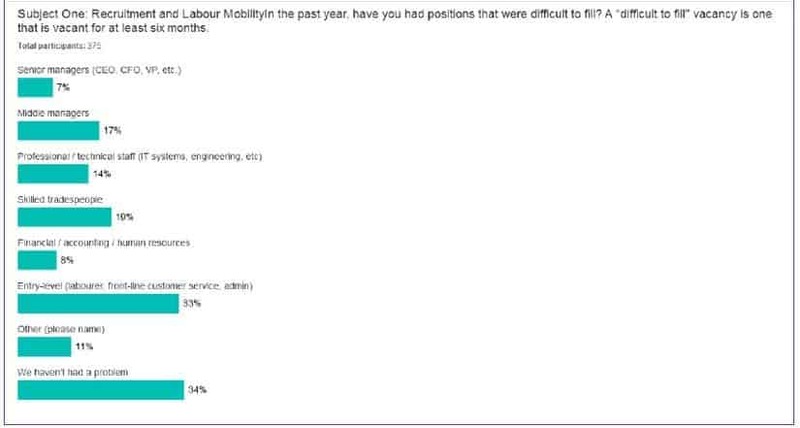 “One would expect the data to reflect—as they do—a diverse array of measures being taken by employers related to labour mobility, recruitment, job sharing and strategic human resource management practices,” the report states. 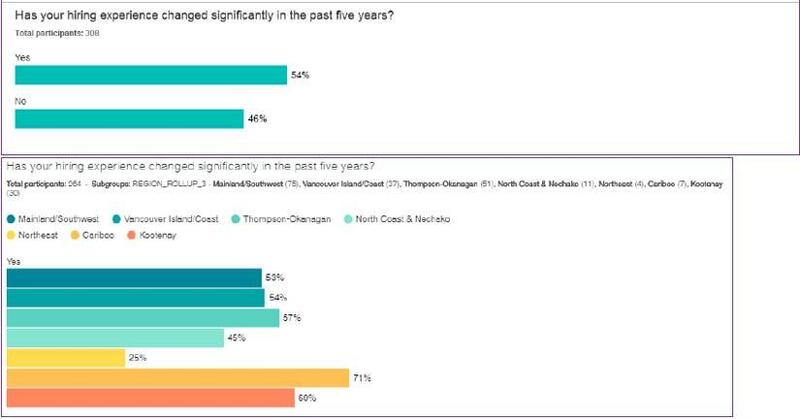 Survey respondents hail from B.C.’s seven economic regions. The top five industries represented are other services (except public administration); professional, scientific and technical services; retail trade; accommodation and food services; and finance and insurance. 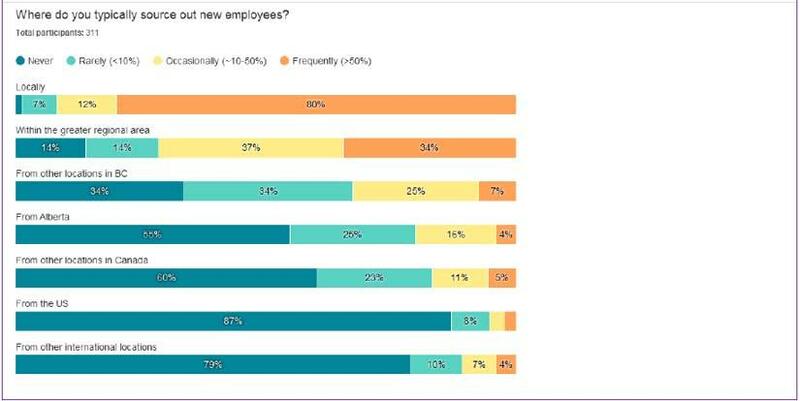 Most respondents are from businesses with fewer than 50 employees; companies with one to four staff make up the bulk of that group. “1. Severity of labour shortages: employers in most regions and industries of the province are challenged with recruiting and retaining quality staff due to the robust provincial economy and corresponding tight labour market. 2. 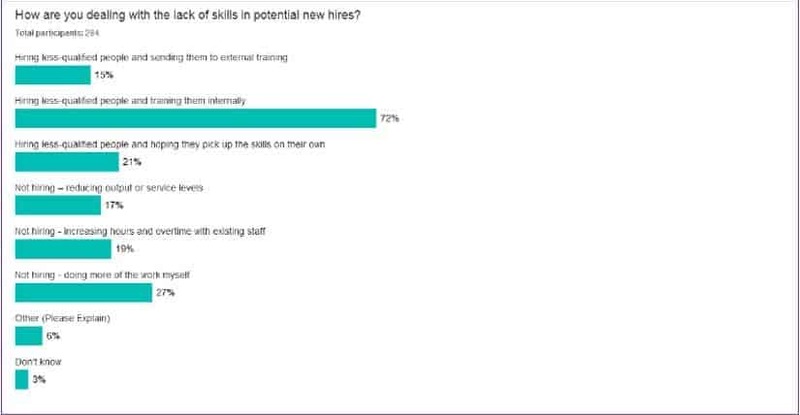 Significance of skills mismatches: with nearly three-quarters (72%) of employers indicating they routinely hire less-qualified employees and train them on the job, there is a clear need to improve the alignment of (skilled) labour demand and supply in B.C.